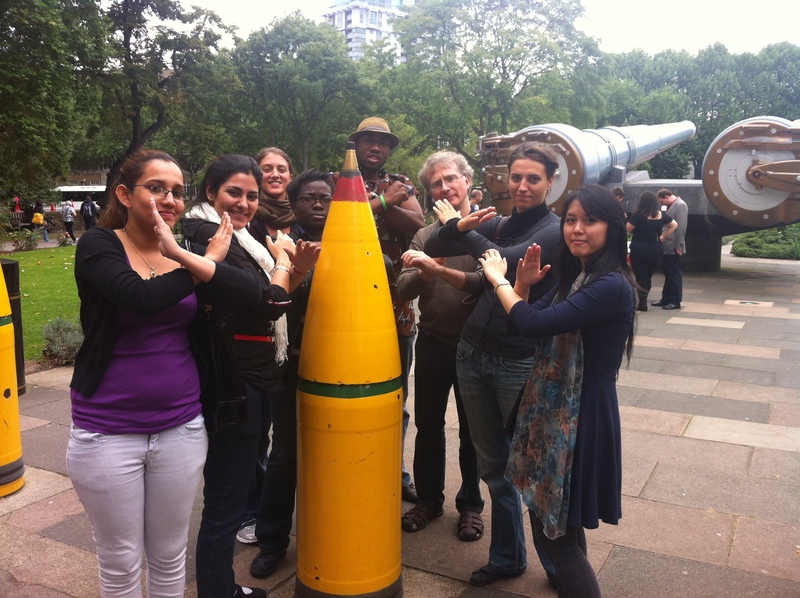 UNESCO Youth Peace Ambassador Training: Day 3: No to Weapons! The small section dedicated to the Build the Truce exhibition at the Imperial War Museum. Today the Peace Ambassador’s visited the Imperial War Memorial to take a look at the ‘Build the Truce’ exhibition which was created to commemorate the Olympic Truce. As you enter, on the left side is a small section dedicated to this exhibition. This goes to show that governments and other organisations spend more money on war than on promoting peace. 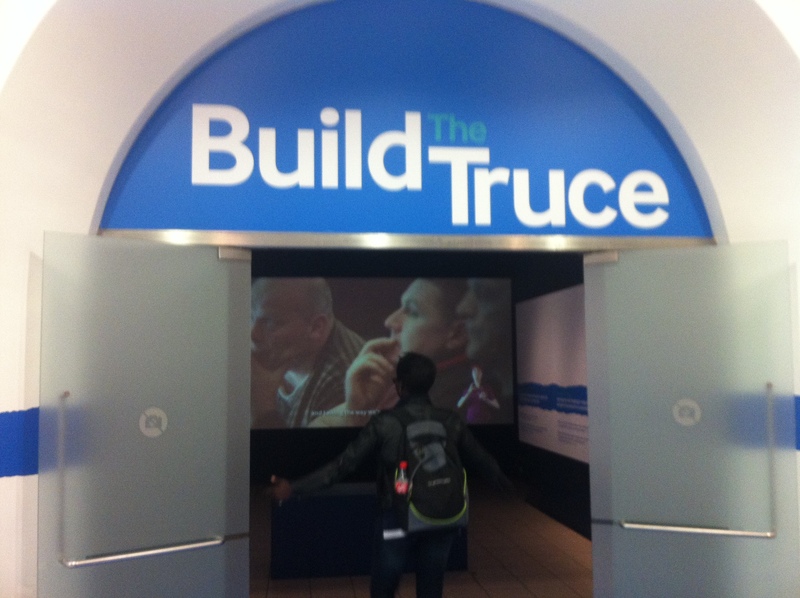 Even though the ‘Build the Truce’ exhibition was small the message given in the film was effective. It highlighted that the world sees peace as the absence of violence but it actually goes much deeper. It displayed a message of the struggles in many war inflicted countries and even though war maybe over in some places there is still need for economic and human development. Peace building is a long and hard process… “It needs a lot of work. It needs a generation or two. It needs a lot of people to work in the right direction, never give up or loose their patience” says Abas Al Janabi an Iraqi who was interviewed for the exhibition. This the greatest message we as Peace Ambassador’s can take home. It’s surprising and disheartening to see the lack of interest in promoting peace, I’m sure it costs a fraction of what it costs for war… so why not do it? The answer is not simple, and on our journey we will learn why everyday. But having a strong support network will help us start somewhere. Truce: An agreement between enemies or opponents to stop fighting for a certain time. Peacemaking: Reducing the risk of lapsing or relapsing into conflict: laying the foundations for sustainable peace.